According to the latest report of Censis, job searches are the fourth most common activity users perform on the Internet, and 3 out of 4 companies claim to use social networks to assess candidates. According to the latest Nielsen report, our country, Italy is the fifth largest global market for distribution of social networks. Based on these statistics, Page Group has decided to focus on social strategies to compete in the web 2.0 contest. 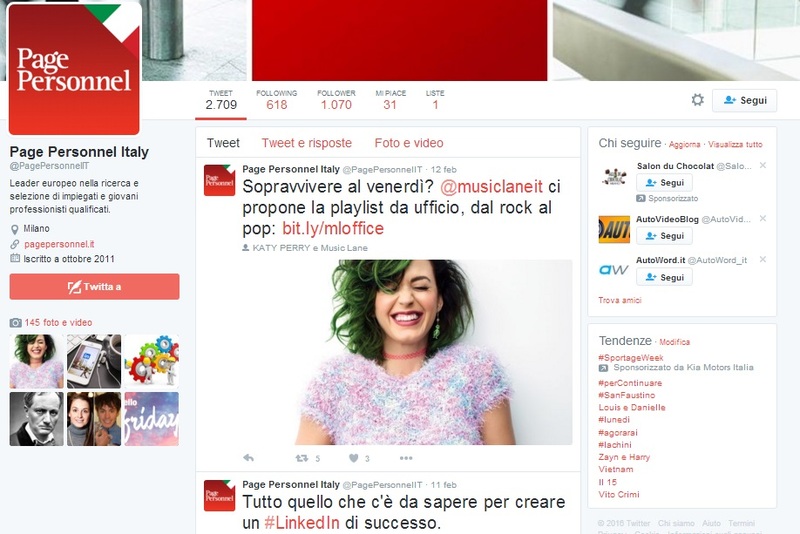 In particular, the group is characterized by its specialization in two main pages, Michael Page and Page Personnel. Michael Page deals with the selection of profiles at executive, top management levels. 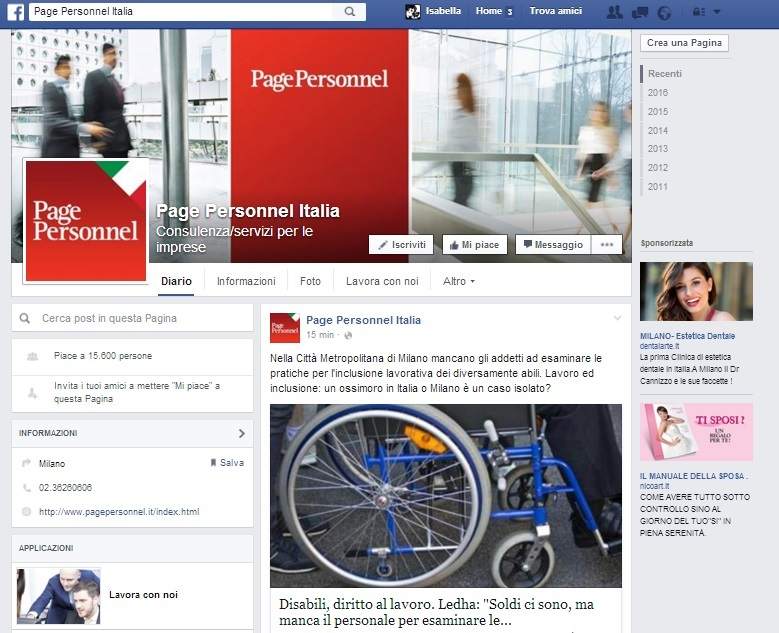 Whereas, Page Personnel focuses on the search and selection both at the beginning of ones working career (graduates), and from middle management (salary level of 30-35 thousand euro per year). 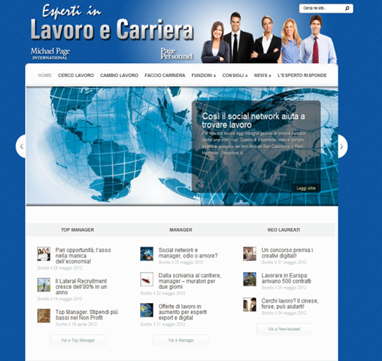 www.espertilavoroecarriera.it is the group blog organized into 7 main headings that facilitate content navigation in order to provide a compass for young graduates seeking employment (areas where there are more opportunities, how to deal with the interview, the rules for the internship etc.) as well as to pay attention to all top management profile updates (salary levels, training courses, strategies for getting into the game, etc.) One section that is particularly attractive to users is the ‘As the expert’ area where managers in the group provide practical advice on specific topics (for example, how to deal with the issue of pay without making mistakes). The user community has also shown significant participation in surveys published monthly. In the most recent survey the question, ‘Would you be willing to transfer abroad for work?’ was responded by more than 600 users with a strong predominance of yes (86%). Michael Page presents discussions on current LinkedIn issues. For example, a topic intended to trigger discussion asked users to share their experiences of the top management profiles, as far back in the game as 50 years.